Provence is a multi-disciplined real estate management company specializing in multi-family assets. Decades of knowledge stand behind the responsible top-level services we offer our residents and property owners. © Provence Real Estate 2018. Art Lieb came to work at Provence Real Estate in 2010 as the Director of Operations. In this capacity, Art oversees the entire property management operations including leasing, marketing, maintenance, financial performance, reporting, human resources, IT, and investor relations. Art has over a decade of experience in property management, starting his career as a leasing manager of a student community in Gainesville, Florida. He worked his way up from on-site positions to the corporate level, spending four years as a portfolio manager with TriBridge Residential, responsible for 3,000+ units throughout the southeast. Art has experience with a multitude of multi-family asset types such as student housing, seniors housing, conventional, highrise, mixed-use, and condominiums. Art has personally overseen asset renovation and repositioning projects in excess of $3MM. Art is a graduate of the University of Florida Warrington College of Business with a degree in Marketing. He is active in the Apartment Associations of Atlanta, Greater Charlotte, Upper State, and Augusta. He lives in Atlanta with his wife Jennifer and sons Asher and Darren. Art holds the CAPS (Certified Apartment Property Supervisor) designation through the National Apartment Association. After Daniel graduated from the University of Tennessee – Knoxville in 1998, he took a position with Wood Partners as an Assistant Estimator for their construction company. In the last 12 years, Wood Partners has built and developed over 30,000 apartment units throughout the country. Daniel worked at Wood Partners for almost a year before coming to work with the parent company of Provence Real Estatein 1999. From 2001-2005, Daniel worked his way up from Assistant Project Manager to Project Manager, building over 3,000 units in several states throughout the southeast. During his career Daniel has constructed more than 12,000 apartment units, located throughout the southeast. Mr. Hathaway became a partner of Provence Real Estate in 2009. He serves on the Board of Directors for the Capital City Club in Atlanta, as well as the Ocmulgee Chapter of Court Appointed Special Advocates (CASA). He is a member of the Atlanta Apartment Association, the U.S. Green Building Council, The Association of Building Contractors (ABC), as well as the Young Presidents Organization (YPO). Spring joined Provence Real Estate in 2011. She has worked in property management for over a decade, with large real estate companies such as TriBridge Residential and Crescent Heights. She a Marietta, GA native, and a graduate of the University of Georgia. Spring is a licensed Realtor in Georgia, and a holds the Certified Apartment Manager (CAM) designation with the National Apartment Association. Spring has been the Broker-in-Charge for Provence Real Estate since 2016. She lives in Norcross, GA with her husband Josh and daughter Ansley. Andrew joined the Provence team in 2017. Prior to joining Provence, Andrew was a Senior Associate for Rodl & Partner, a CPA firm based in Atlanta. He has several years of experience in audit and tax accounting for real estate and property management. Andrew heads up our accounting team and oversees the team of property accountants and A/P specialists. Andrew is a graduate of the University of Georgia and is a Certified Public Accountant. Nina Azzem was promoted by Provence Real Estate as a Portfolio Manager in 2015. She heads up our Mobile Regional Office. Nina currently oversees operation of approximately 2,000+ apartment homes and has been in property management for over a decade, working in various on-site positions. She has worked her entire career in the Mobile area. Simon Nauert started his property management career in 2010 and joined Provence Real Estate in 2015. He has overseen a portfolio of various asset types across the Southeast including new development lease-ups, historic restorations, and student housing. Simon also holds a Certified Apartment Portfolio Supervisor (CAPS) designation with the National Apartment Association. Simon is originally from Asheville, NC and attended East Carolina University where he studied Hospitality Management and Business Administration. He now resides in Atlanta, GA with his wife, Jaimee. Rhonda Wright started her property management career in 2011 and was hired by Provence in 2013. Since joining Provence, she has managed diverse property types including; value-add, distressed property take-overs and repositioning, and new lease-ups on new construction properties within the Metro Atlanta area. Rhonda received her BA at Georgia State University in Communications and received her Accredited Residential Manager designation with IREM. She is a native of Atlanta. Bailey Wood joined Provence as the Property Accountant in the fall of 2011. She is responsible for preparing financials and supporting schedules for investors. Bailey also works closely with the property managers and is responsible for accounts payable. Bailey previously worked for an oil company in Lawrenceville, GA for seven years. She was an assistant to the president, and within a few years, Bailey was responsible for all matters that concerned accounting; along with many other responsibilities. Bailey received her Bachelors of Business Administration degree in Accounting in 2010 from Georgia Gwinnett College. Bailey lives in Lawrenceville with her husband Jeff. In her spare time, she enjoys spending time outdoors and traveling. Martha joined Provence Real Estate as an Accounting Specialist in 2015. Anna joined Provence Real Estate as the Operations Coordinator in 2015. Her responsibilities include administration of human resources, owner/investor reporting, lender and capex draws, new property takeovers, and vendor management. Anna is originally from Easley, SC. She attended College of Charleston and we a member of the golf team. Rebecca Golden joined Provence Real Estate in 2015 as an Asset Manager. She began her property management career in 2003. Rebecca currently oversees large renovation projects and capital expenditures of our managed assets. She is an Atlanta native and a graduate of Auburn University. Rebecca joined Provence as an Asset Manager in 2017. In her role she oversees the due diligence efforts for our clients, and also is a project manager for renovation projects and capital expenditures on our managed assets. Rebecca is a graduate of Auburn University. Residents at a Provence Real Estate community can take advantage of convenient online service offered through our Resident Portal. With our Resident Portal you can pay rent online, submit a service request, refer a friend to your community, and get information on community events. Please submit this form to your management office in the event you would like to authorize us to release a key to a third party. This form must be submitted to your leasing office when giving notice that you intend to vacate your apartment. Select the community you wish to submit an online application from the list below. NOTE: Your apartment home will NOT be reserved by submitting an application. 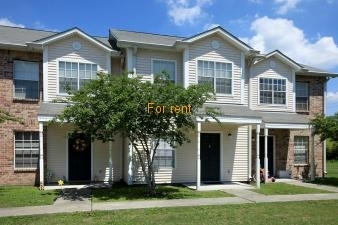 You must contact the leasing office to pay application and administrative fees. Further documents such as a photo ID and proof of income will be required to complete the reservation process. Please contact a leasing representative if you have any questions. David Handley joined Provence Real Estate in 2017. He is a member of our accounting team, providing support for the managed communities. His particular areas of focus include lender replacement reserve draws, operational audits, incentive tracking, and market research for clients. David is a graduate from Clemson University where he studied corporate financial management and accounting. He lives in Atlanta.